Ray Nagin was the controversial mayor of New Orleans during Hurricane Katrina and after. He is recognized for holding The City together politically by traveling the country speaking to the diaspora, and staging elections with voting booths outside New Orleans. Nagin fought with President Bush's Administration over information withheld (under claims of privacy) on the whereabouts of New Orleans dispersed citizenry. This, some say, was a position advanced by right wing interests ever eager to reduce voter turnout ~ in this case so as to thwart Nagin's efforts at keeping The City together as a mostly black and blue-voting block in an otherwise mostly white and red-voting state. It was during this time, Nagin was widely quoted speaking positively of New Orleans being a "Chocolate City." Hyper race-sensitive Louisianians (admit it, cher, there are some!) did not like seeing or hearing it that way. Nagin's people say 'Chocolate City' was widely misrepresented, pointing to the governor's race of 1991, pitting Edwin Edwards against openly white supremacist, anti semitic, and formerly Ku Klux Klan Grand Wizard, David Duke. Statewide, Duke carried the white vote by 55%. It was the black vote in New Orleans, 'Chocolate City' ~ along with 45% of white voters ~ that saved Louisiana from David Duke. 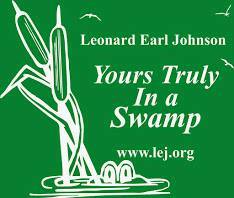 When Edwin Edwards was asked, after the primary, what he would have to do to win the general election, he said, "Stay alive till the election." Nagin's "Chocolate City" comment was meant to please his black voters, of course! But it also conjured an image of what saved white-and-black Louisiana from Governor David Duke. Two years after leaving the mayor's office, Nagin was indicted for early post-K. reconstruction graft; found guilty, and incarcerated for ten years (2023 release, he will be 66). One day ~ during the Evacuation ~ I happened upon Nagin, Seletha, and their accompanying Muscle at a crossroads boudin place in Acadiana. As I recall, President Obama was coming. In any case, Nagin and the Muscle were hefting three long stainless steel ice chests (like we bring for the catch, fishing in the Gulf) full of boudin. Carbon-spewing interests had not yet switched arguments from, 'Global warming is not-happening' to 'Happening, but not our fault!' Meaning they, too, with all their science, did not know what to do. New Orleans was left between a ghost town and a frontier town, afterwards. The City was mostly empty. Military convoys roamed the streets. People dipped water from The River. Everything was broken, and nothing was open but a couple of French Quarter bars! Dennis Hastert, Speaker of the U. S. House, was not alone in his view that New Orleans was too damaged and too vulnerable, and should not be rebuilt. A few very angry citizens were in Town ~ on the green strips along The River and the lip of Lake Pontchartrain. This is New Orleans 'highground', towering inches above Sea level. It did not flood in 2005. During this strange time, an angry crowd denied Nagin a place on the podium to speak in front of a parade and rally criticizing FEMA and the murder rate. Imagine, the Mayor of The City home from the diaspora and denied access to his own citizens at home ~ by some of those citizens! "Little Bush Leaguers," L. A. Norma called this group. Perhaps. Or just driven mad from our ordeal. Nagin, alone among politicians, took the hit for the burdens that angered us all. As the bumper sticker suggested, we remained New Orleanians wherever we were. Unlike New Orleans, however, where we were, across the Atchafalaya Basin, everything worked. "Except for you," L. A. Norma said. 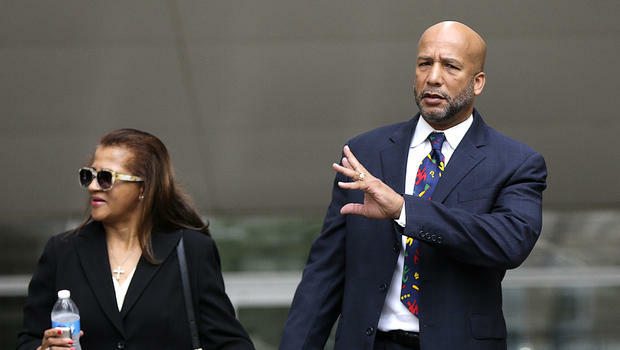 "Feds ask Judge Uphold Ray Nagin Conviction,"
And he keeps it, ah, out of sight. Now d'ja hear âbout Louie Miller? Now that Macky's back in town.....Look out, old Macky's back! !